Japan should be at the forefront of a “CO2 reduction revolution”, Prime Minister Yasuo Fukuda said recently when announcing Japan’s plan to cut green house gas (GHG) emissions by 60-80% by 2050. The prime minister also said that he hopes to jump start an international consensus on GHG cutting measures at the Group of Eight meeting in Hokkaido (7-8 July 2008). During the same policy speech, Fukuda committed $1.2 billion to an international GHG fund and pledged that the government would be more supportive to the establishment of a worldwide emissions trading market. Japanese experts meanwhile, are studying how to achieve the reductions. They have made proposals for industry, business, transport and for individual households. The changes are dramatic and they will be essential in a world of skyrocketing oil prices and advancing climate change. The forty years required to bring about this transformation seems realistic, but is nonetheless ambitious. The government however, appears quite committed. In February 2008, the prime minister’s office set up the Panel on a Low Carbon Society to discuss how to make the cuts a reality, without jeapordizing prosperity. The twelve-member advisory panel includes three business sector representatives—Toyota Motor Corporation, Tokyo Electric Power Company and Nippon Steel Corporation—and its deliberations will feed into the G8 in Hokkaido. On the research front, experts at the National Institute for Environmental Studies (NIES), in collaboration with their counter-parts in the United Kingdom, have been studying this topic for some time. It appears that both countries are keen to discover the path to achieving a Low Carbon Society. Back in February 2007, the NIES published a report in which it argued that Japan can achieve a Low Carbon Society by reducing energy demand by 40-45%. That would be a major undertaking, since the trend over the past 60 years is an ever-increasing energy demand. The challenge then is how to break this trend. According to the NIES report, the annual direct cost associated with reducing CO2 emissions by 70% is estimated to account for around JPY 6.7 to 9.8 trillion, which would be equivalent to 1% of the GDP in 2050. But lets remember that these costs are actually investments that will create many new jobs! In preparing their predictions, the NIES researchers looked at two scenarios. Scenario A sees faster growth, continued concentration of people and activity in urban areas. The rate of technological development is high, globalized production continues apace and the service sector increases its share of overall economic activity. Scenario B sees slower growth, less technology, more regulation, more localized production and more focus on social activities than on production activities. Based on sophisticated modeling, the researchers envisage that energy demand reductions would be associated with the shrinking population, accompanied by measures to more rationally use energy, greater energy conservation and improvements in energy efficiencies. Big differences are predicted by sector. For instance, in the industrial sector, restructuring and the introduction of energy saving technologies are expected to reduce energy demand by 20-40%. In the passenger transportation sector, new measures to promote better land use and improvements in energy efficiency are expected to cut energy demand by 80%. In the freight transportation sector demand is expected to fall by 60 to 70% thanks to more effective logistics management and improvements in the energy efficiency of vehicles. Similar benefits, in the region of 50% reductions, are anticipated in the household sector due to re-building, better insulation and energy saving appliances. Wishful thinking? How soon could this start? When you only have forty years to transform an entire country, these predictions may seem like wishful thinking. The challenge is particularly striking when you consider how long it takes to bring about change. On average, if we buy a television or computer today, someone will still be using it 12 years from now. The new car we just bought could still be on the road 15 years from now, not necessarily in Japan, since it could be exported. This means that until around 2020, we could be locked into many of the purchase decisions we are making today. 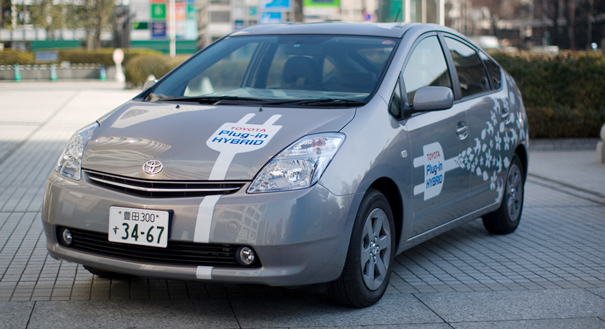 For instance, how long would it take to switch all the cars in Japan to plug-in hybrid versions? This would be a matter of calculating how many cars there are and dividing by the number of cars sold each year. In 2007, a total of nearly 5.8 million cars were sold and there are around 74 million vehicles on the road today (second only to the US), resulting in a complete replacement 13 years from now. However, that would be overly optimistic since both consumer preferences and pricing play a significant role in determining how the car market evolves (plus the availability of green vehicles!). With respect to transforming housing stock or the commercial sector to something more energy-efficient, the house you plan to build and that new office block you are working in could still be standing 30 to 60 years from now. Infrastructure that requires even bigger investments—such as roads, rail and airports, or a proposed tolled highway—once built, could still be bringing traffic into the city centre 100 years from now. With the recent announcement from Prime Minister Fukuda it is clear that the Low Carbon Society has become central to Japan’s climate change policy. The Ministry of the Environment has taken the lead in developing thinking about this new kind of society. Their approach is not to focus on numerical targets, but rather to give broad direction. 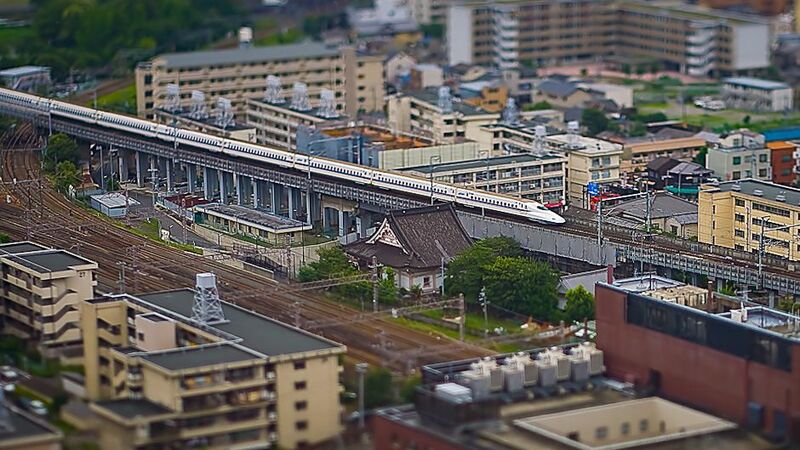 This involves building upon some of Japan’s existing strengths. Despite the high level of car ownership, for example, the share of utilization of public transportation in Japan (of all transport modes) is high at 32%, compared with 8% in Germany, 6% in the UK and 1% in the US. The rail system in particular, is one of the best in the world. Japanese cities are compact. Both of these factors support the widespread use of public transport. In other areas, however, work is still required to influence public thinking. One major challenge relates to consumer choice. This includes buying produce from local sources, and consumers could be tempted to do so by being made conscious of the carbon footprint associated with getting that food to the supermarket. Shoppers might also end up choosing an electrical appliance with more thought if they were aware of the products life cycle assessment results showing how much CO2 was generated in making, using and disposing of the item. Even more ambitiously perhaps, a shift could be encouraged away from purchasing new products towards re-using products. The vision of this Low Carbon Society is still a little fuzzy, and something of a cobbling together of ideas that have been around for some time. But the really exciting part is the fact that researchers, policy-makers, civil society groups and businesses are beginning to think seriously about what such a society could look like in Japan. That is the first step in a long journey. The desire to take that step is so fundamentally important. Japan as a Low Carbon Society by Brendan Barrett is licensed under a Creative Commons Attribution-NonCommercial 3.0 Unported License. Based on a work at http://ourworld.unu.edu/en/japan-as-a-low-carbon-society/.